I'm really sorry I got quite busy with the previous Ramadhan month and I was focusing on religious matter during that month, so that's why I haven't been posting quite a lot lately. I was also got carried away with the Ied-Al-Fitr holiday but now I'm back again in this blog and hopefully will write frequently again. The event was held at a cafe called Bistronomy which is actually quite a nice place. 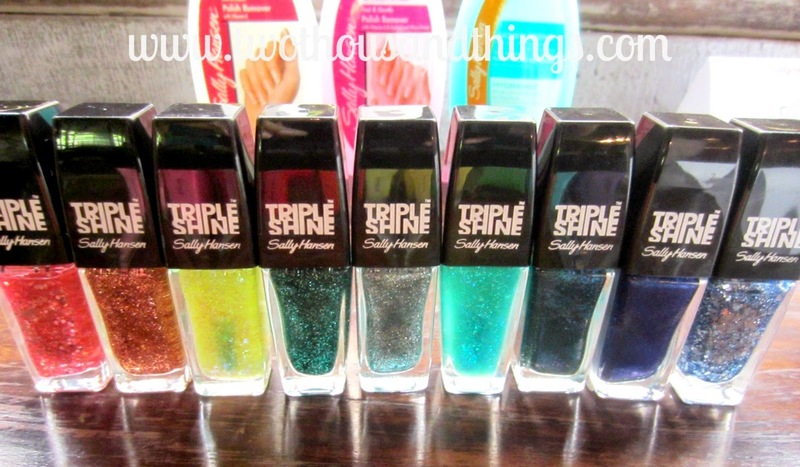 It was the launching of their newest line the Triple Shine Nail Color which were advertised as the season's most covetable colors with maximum radiance and high shine. Sally Hansen understood that our everyday activities might effect our nail polish, such as frequent hand washing and detergent that can dull the shine and eat away the colors of the nail polish. Or chlorine from the swimming pool that can cause lackluster to the nail polish that we're wearing. Now Sally Hansen have come up with the solution for that which is the one-of-a-kind ultimate shield complex formula, designed to help nail polish withstand the wear and tear of everyday activities. The Sally Hansen Triple Shine Nail Polish is formulated with the ultimate shield complex as well as the definitive color authority which is another coloring breakthrough from Sally Hansen. The result is a high impact color with maximum shine and durability. The Gloss Tech brush that was designed specifically for the Triple Shine formula, giving a flawless finish that maximizes lasting shine. Pro-Vitamin B5 and vitamin E for defense against daily activities, plus Sea Kelp and Panthenol for maximum hydration. Guanine, a natural crushed pearl found in aquatic life that delivers natural iridescence and high impact shine. 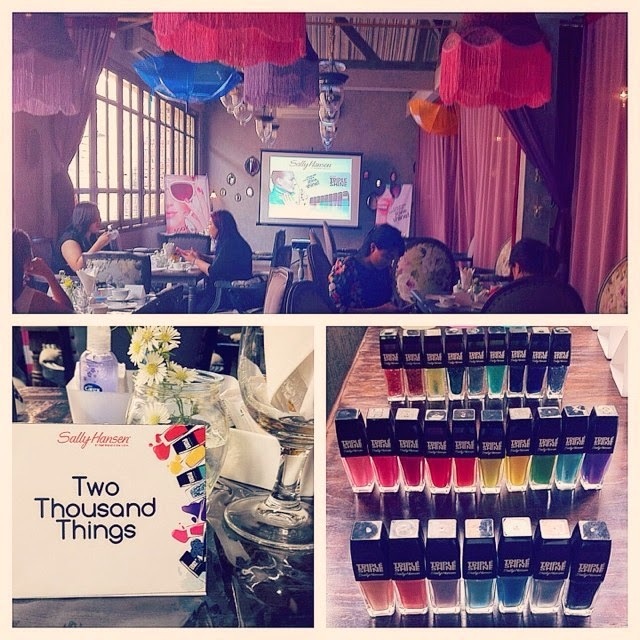 At the event, we were allowed to try the nail polishes and there was a nail competition as well. I tried an aquatic themed turquoise nail with three kinds of aqua and green shades from the three different range. I tried the matte one (POP), and then layered it with an (IRIDESCENCE) one and also with a glittering darker layer (FANTA-SEA). I just did a simple nail look with a solid matte base and some shimmers and glitters at the tip. Although it looks almost the same but I actually used two different shades of glitters in similar turquoise/green shades. I used Dive In for the base and Hypnautical (light aqua iridescent shimmer), as well as Seanic (green metallics) for the tip. I only used two coats of nail polish to get that deep vibrant colors on my nails, and I only used one layer of glitter and iridescent ones on the tip of my nails for a more lively look. 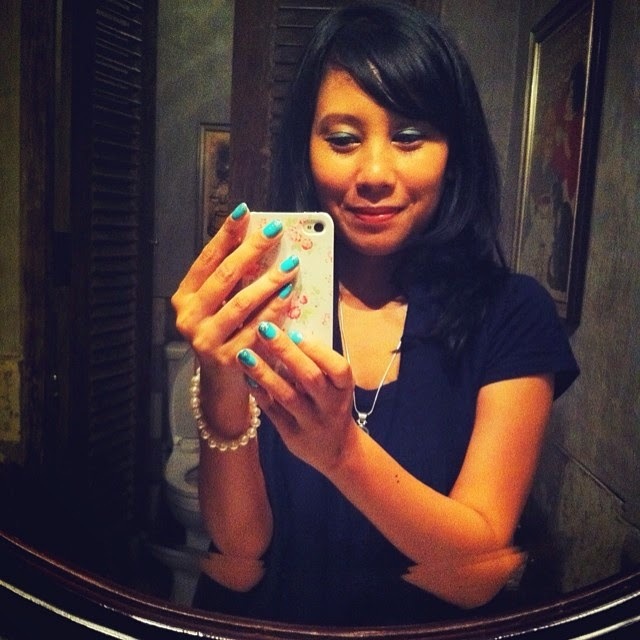 I love all the nail polishes that I've tried at the event. The colors are really gorgeous and vibrant in real life, and I also love the different textures of the nail polishes. These Sally Hansen Triple Shine Nail Colors are available in Watsons, Guardian (selected stores), Sogo (selected stores), Metro (Gandaria City & Surabaya), Centro (Bali), and Glow (Plaza Indonesia & Beachwalk Bali). 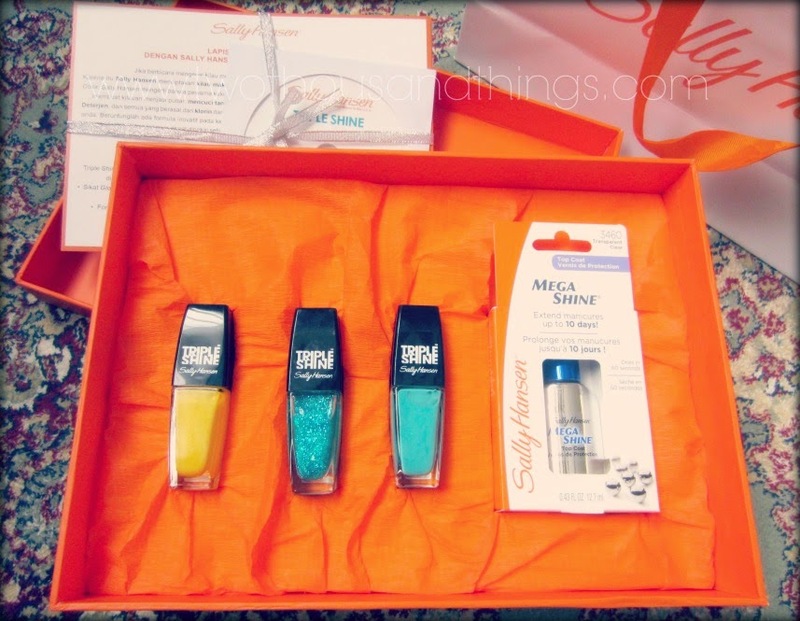 Have you tried any Sally Hansen nail polish?